I am using a raspberry pi running node red to interface. Thank you Bhaskar. The ultrasonic sensor uses 3 wires 2 for power and a 3rd for signal. How do I power the sensor using this board? Does this board require it’s own power source or does it receive it over the I2C? I also saw a mini board that was a single channel analog to digital converter. Would it work provided I can use a 0-5V signal instead of a 0-10? Its the PR1-49. In either case how does the sensor receive it’s power? The wiring diagram can be found on product page under resources section. The board will need a 12V DC power supply and you can use the same 12V supply to power up the sensor as well. Is that a hard no on using the PR1-49 instead of the PR33-13? what if there is over voltage. sometime these sensor could send more than 5V. that might damage the ADC. 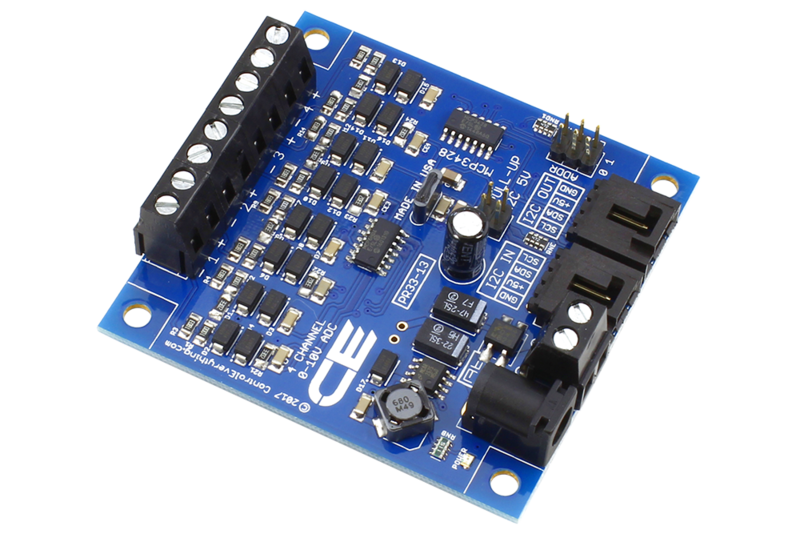 the 0-10V is designed to work upto 11.17V and also has on board signal conditioning. so it will help you if there is any noise. If there is no over voltage case than PR1-49 will be great choice. @Trey any chance you’re working on a node-red package for the MCP3425? I am not right now, but I’ll try to have something for you next week if you can wait. @Trey I’m only placing my order today or tomorrow. So I can definitely wait. Thank you. @Trey I received my MCP3425 boards today. Any luck with the Node-red package? Sorry for the late response, I was traveling for a few days… I haven’t been able to get to the library yet, we’ve been working on finishing up another project. I’ll get back to you later today with a time estimate to have one ready. So it looks like we’ll be finishing up this project tomorrow or Thursday, and the MCP3425 library is the next thing on my list. I expect it to take less than a day, so I should have something for you on Friday. Thanks for your patience! @Trey. The thanks go to you!!! 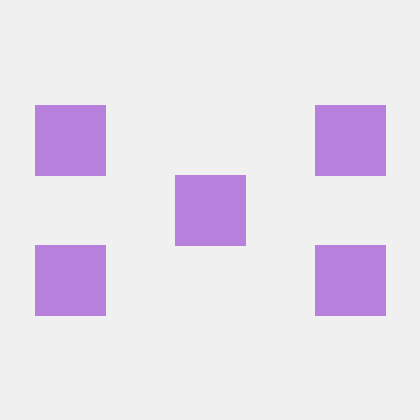 Contribute to ncd-io/ncd-red-mcp3425 development by creating an account on GitHub. It should be good, if you run into any problems let me know! @Trey Thank you sir. I will give it a shot sometime over the weekend probably. Still trying to hash out this XBee thing. Also ran into an issue with the ads1115 today that I will start a new thread about. Still gathering the data. @Trey I finally had a chance to load up node red with the MCP3425. It works but the range I am getting is 40ish with nothing connected to Vin and when 5V is applied I get 2047. The gain doesn’t seem to change the value at all. Any suggestions? I was looking for 0-5 and I know I can scale, but want to be sure that what I am seeing is correct first. @Trey Is there a multiplier that is best used for this? I am trying to read 0-5V. That is linear, so it may not give terribly accurate readings, you may try using the “range” node, it will map the min/max values you are actually seeing to the ones you expect.